This is a hand-painted limited edition titled "Bugs Persona". 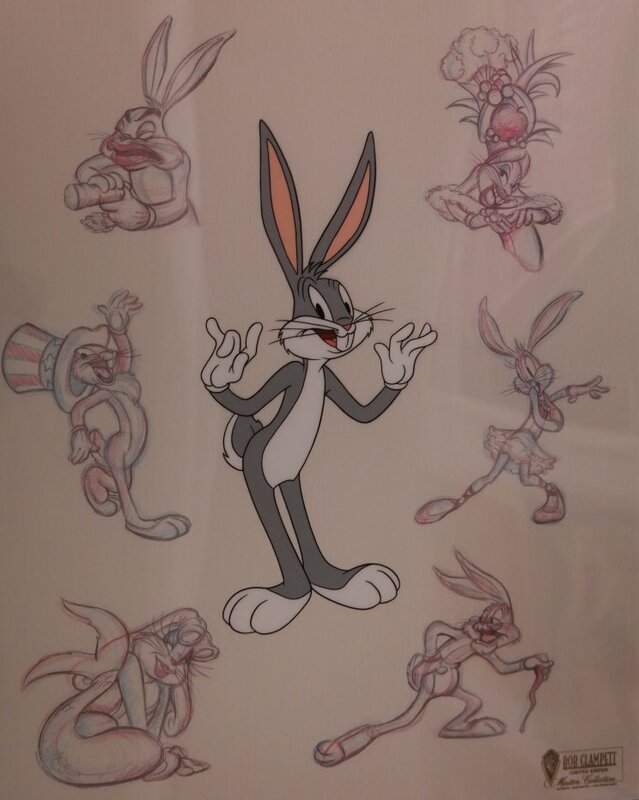 This piece features a hand-painted image of Bugs Bunny on a clear cel layer (in the center of the piece) that is paired with a lithographically printed background that replicates rough drawings of famous Bugs Bunny characters like Uncle Sam, The Little mermaid, Carmen Miranda, and more. This overall piece measures 16.5" x 13.5", and it is hand numbered 712/750.